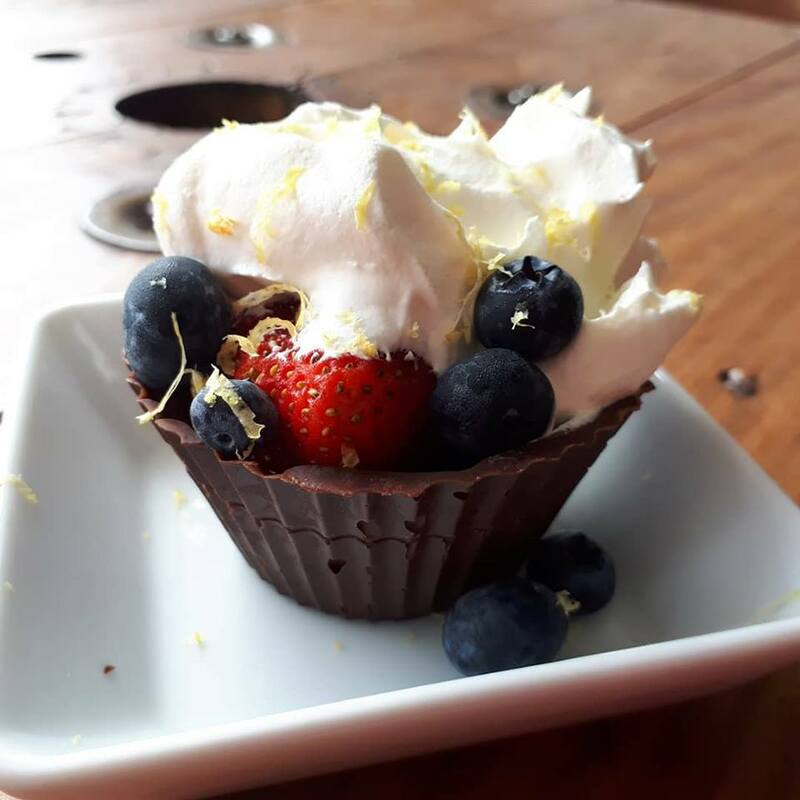 I have been making these Mousse Cups for years and unfortunately at this point I have no idea where I got the inspiration from. They are so pretty and make for an elegant and easy addition to a dessert table or after dinner treat to impress. I thought with Valentines Day right around the corner they would make a perfect date night dessert. 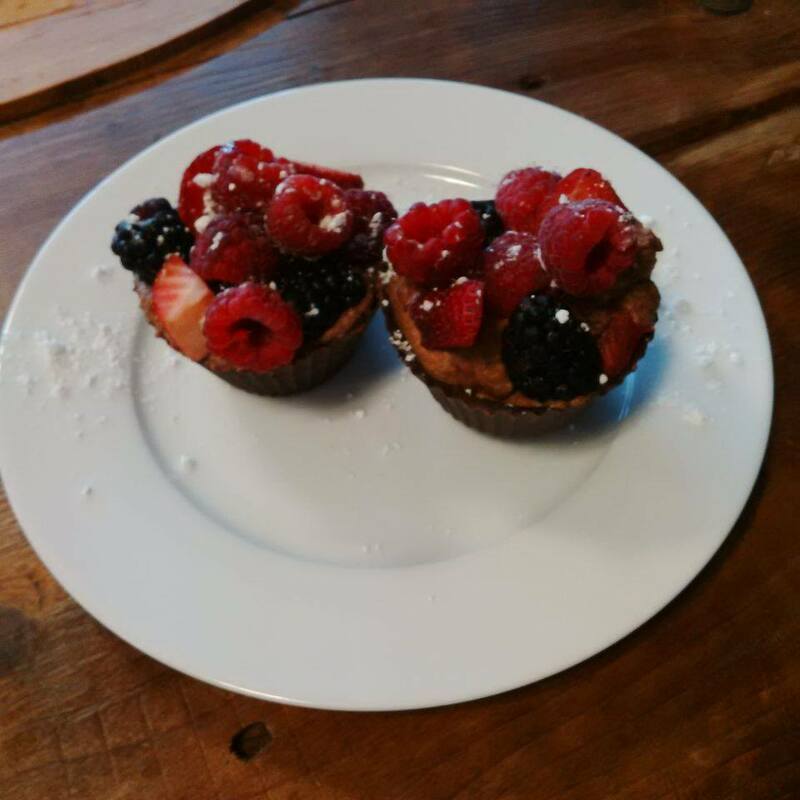 To make the chocolate cups I use silicon baking cups. I have tried using other methods but they never work out. For instance, using paper cups the paper will stick to the chocolate and you won’t be able to get a usable result. You can get these silicon baking cups most places that sell baking equipment. I think I got mine at Michaels, but I have also seen them at the Bulk Barn and at Wal-Mart. 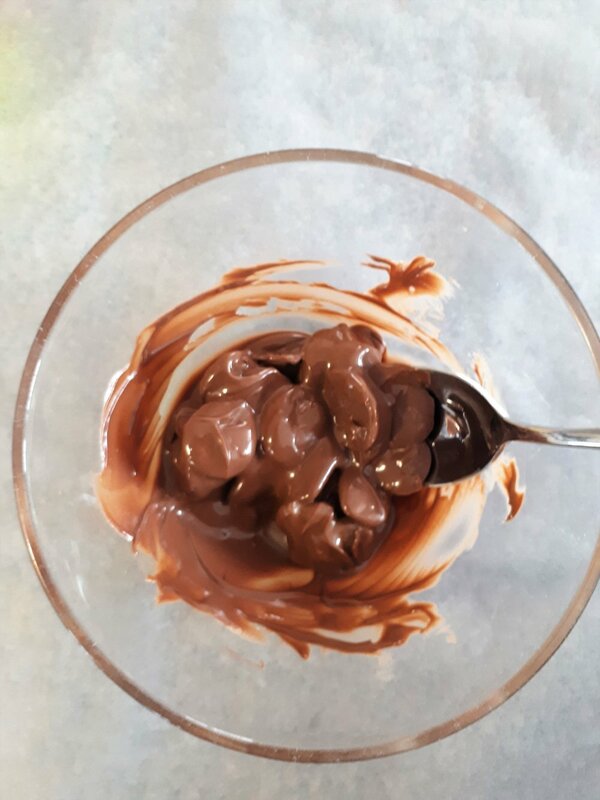 To melt the chocolate, place small pieces in a microwavable bowl. If melting a large amount I would recommend putting it on the stove top on a double boiler rather than microwaving. Using the microwave method put chocolate in for 20 second intervals and stir in between. It took only two times to get my chocolate melted. If you don’t stir the chocolate it will lead to burning. Using a spoon, spread the chocolate around on the inside walls of the cups, making sure to cover every exposed surface. If you miss a section there will be hole in your finished cup! You want the chocolate thick enough that it wont break easily. Once you have covered all the sides and bottom with the melted chocolate place upside down on a parchment covered plate. Turning them upside down helps the chocolate to not settle at the bottom and add more thickness to the sides which is the weaker part of the cup. Put it in the fridge until the chocolate hardens. It shouldn’t take more than half an hour. After you have removed the cups from the fridge the silicone baking cups will peel right off the chocolate. Peel carefully at first. If your chocolate is too thin it will break. I fill the chocolate cups with Bailey’s Mousse. I originally got this from the Bailey’s Chocolate Mousse recipe by Lemon Tree Dwelling. See the original post Here. It worked so well so well that I barely make any changes. If it ain’t broke don’t fix it! The only minor altercations are that I use icing sugar instead of granulated sugar and I take out the cocoa to help the Bailey’s taste pop! To make the gelatin mix gelatin powder with cold water in a small bowl. Let the mixture set (about 1 minute). Add the boiling water. Mix until gelatin is dissolved. Set aside to cool. In your mixer bowl add icing sugar, vanilla and whipping cream. Beat at medium to high speed until you have (very) stiff peaks (aka until you have a firm whipped cream). Add the baileys and gelatin beating at medium speed. Mix until you have achieved soft peaks. Separate your mixture unto your pre-prepared chocolate cups. Fill the cups 3/4 of the way full. This recipe should give you enough mousse to make between 18-24 mousse cups. Put in the fridge until the mousse is set, at least one hour. The final step of the mousse cups is topping them! I often use raspberries, but have used assorted berries as well. I would recommend raspberries, blueberries or blackberries. If you are planning to eat them immediately than strawberries are alright to use as well. I find that cut up strawberries do not hold themselves as well and will become soggy. These can be made a day in advance, but i would wait to add the berries until closer to serving time. 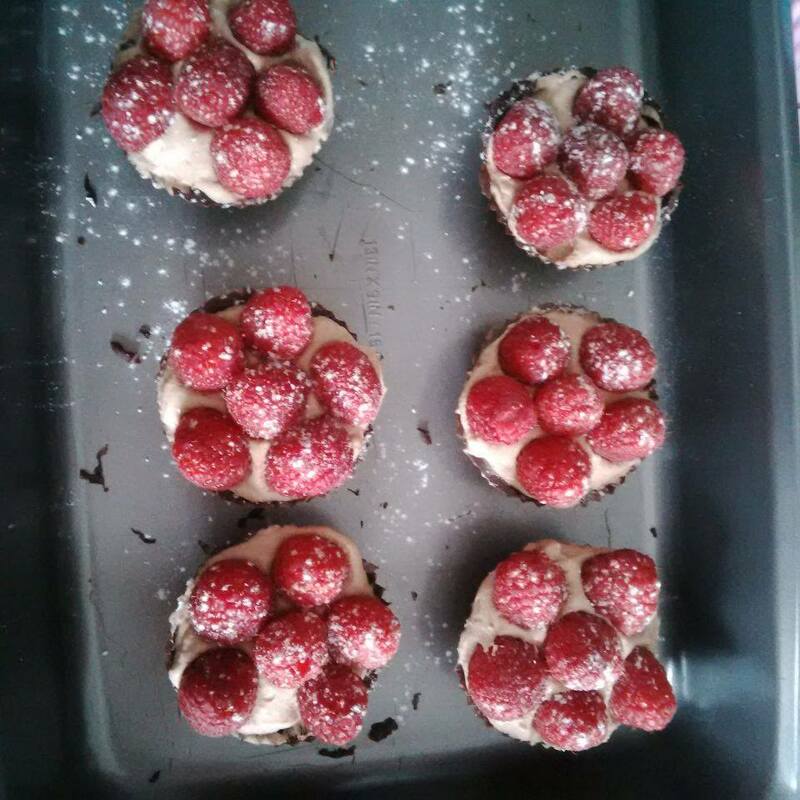 To finish them off, sprinkle with icing sugar.